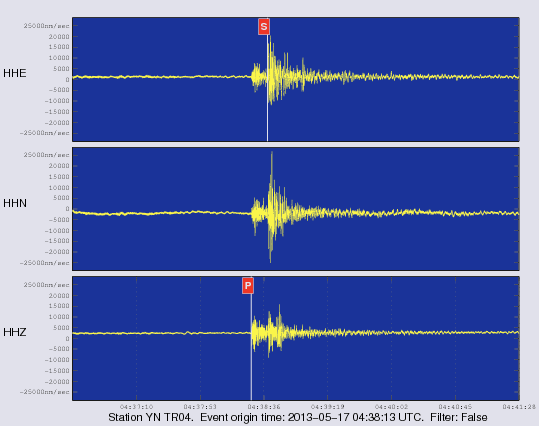 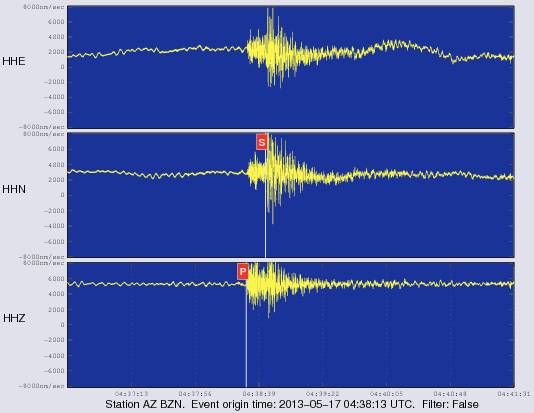 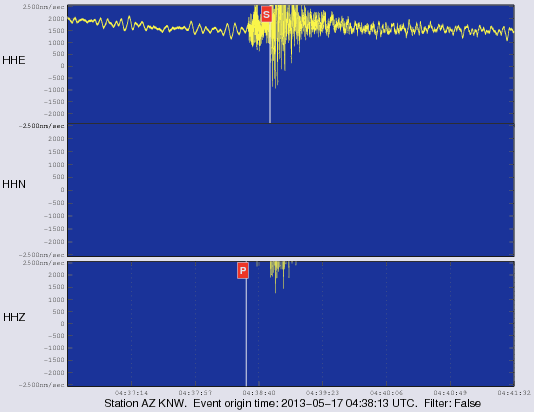 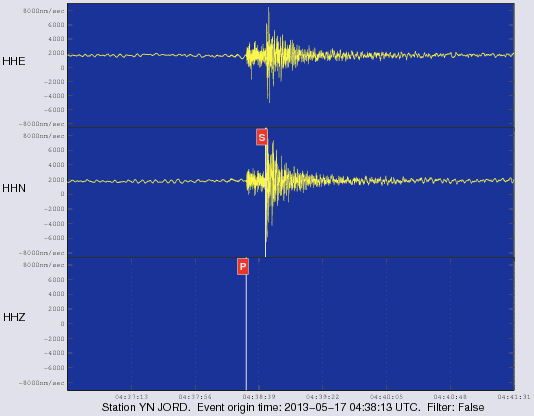 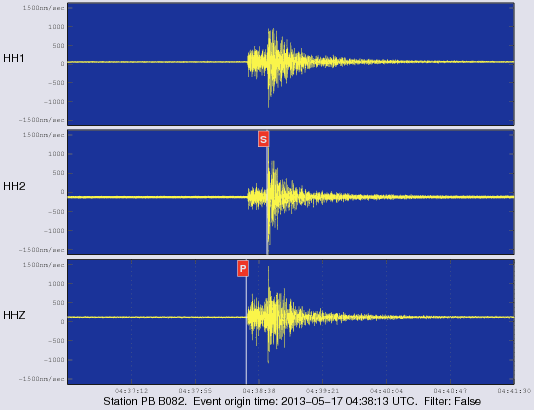 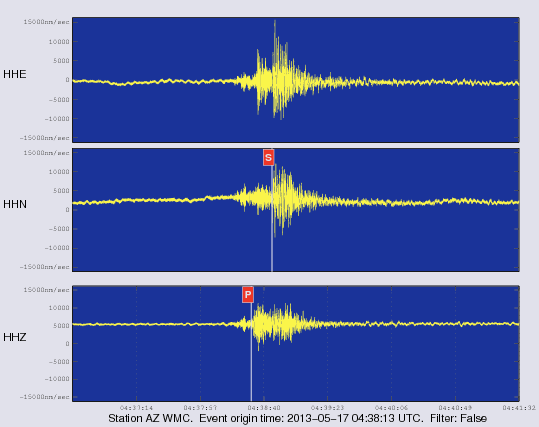 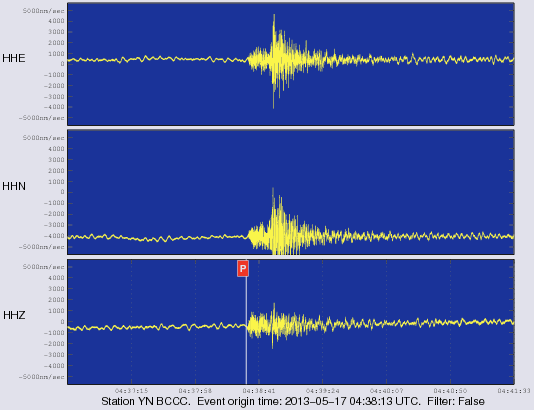 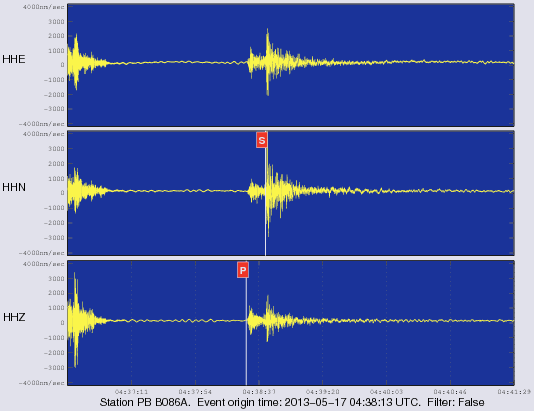 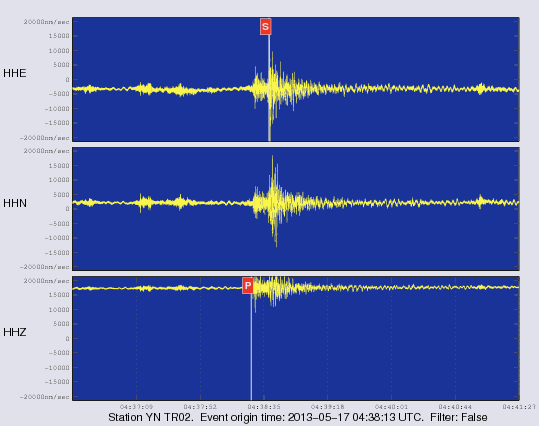 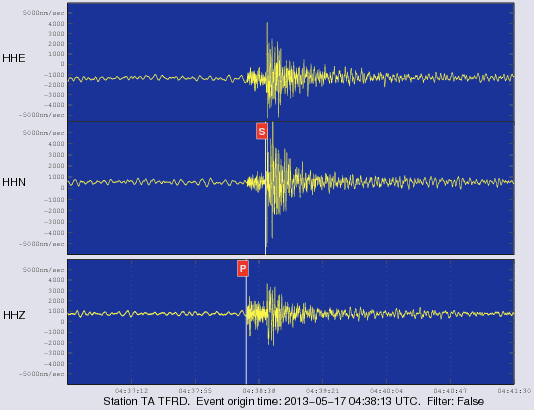 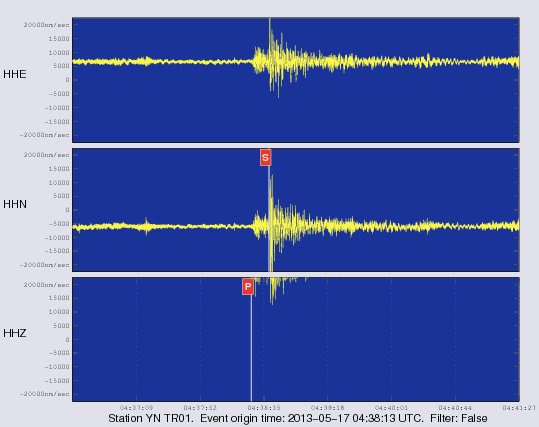 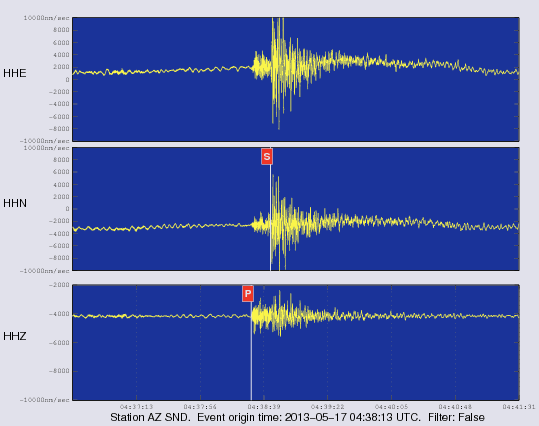 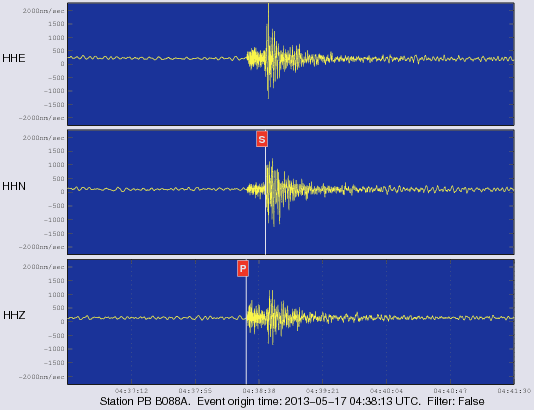 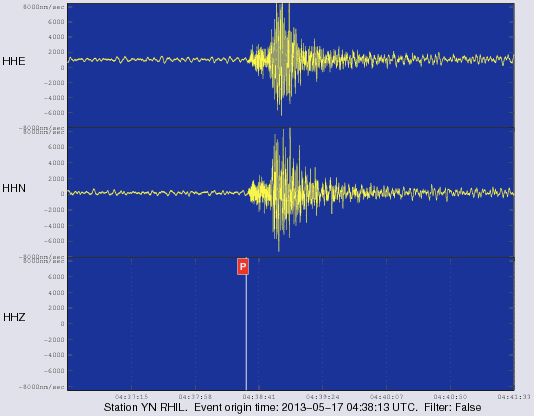 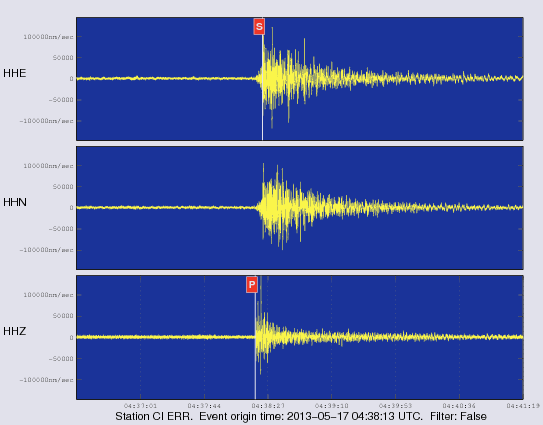 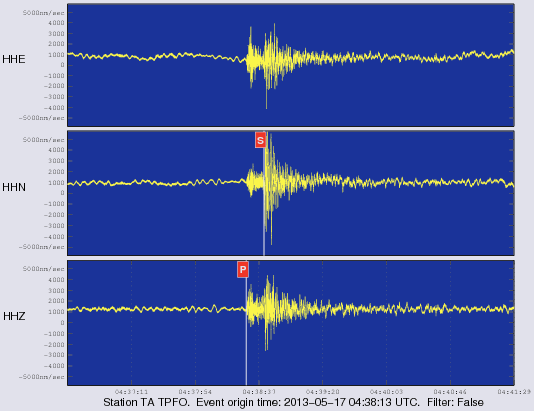 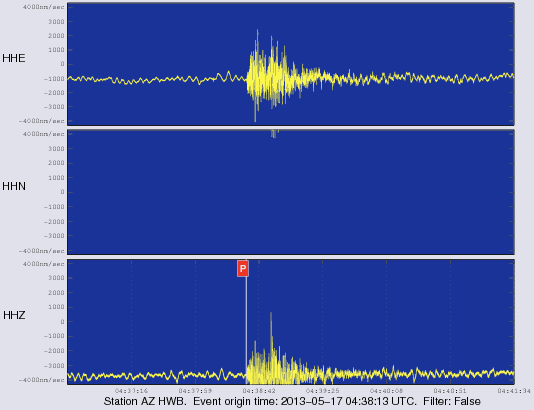 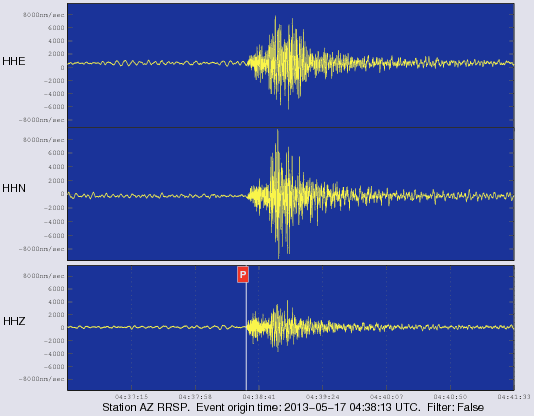 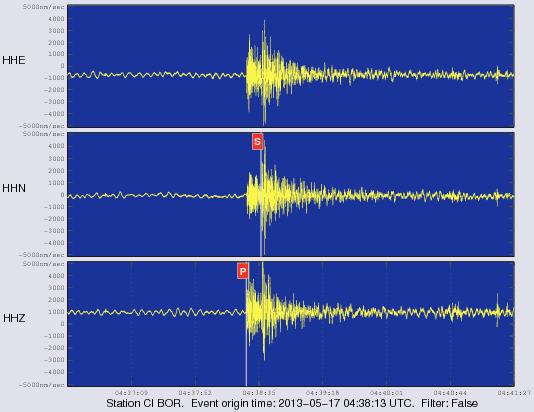 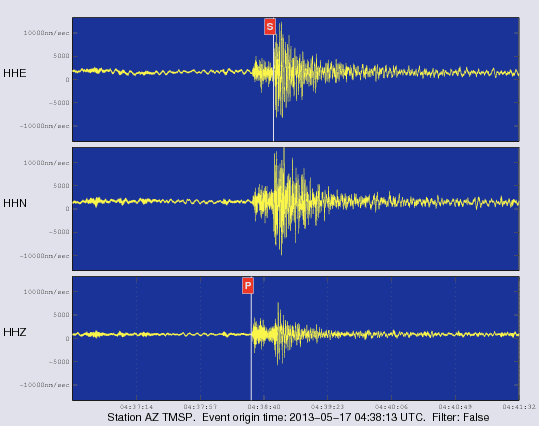 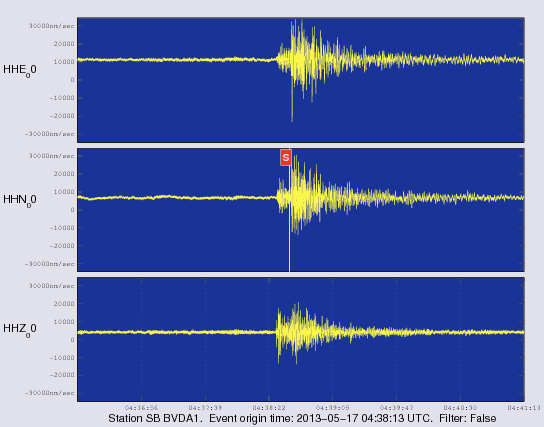 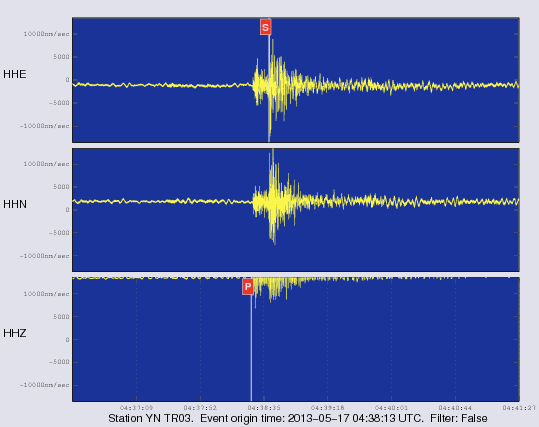 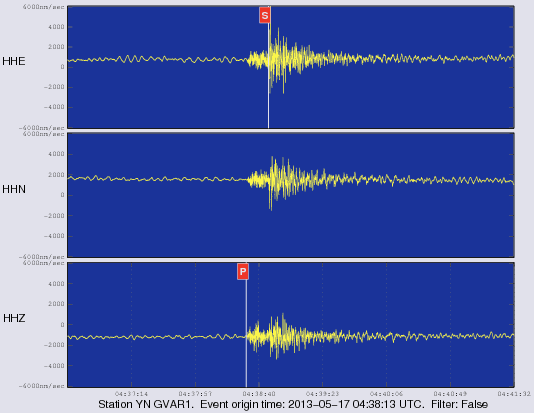 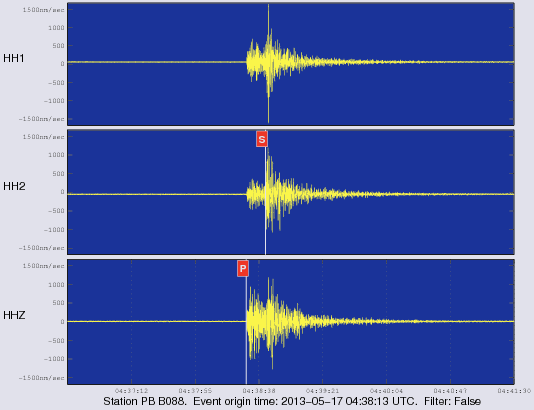 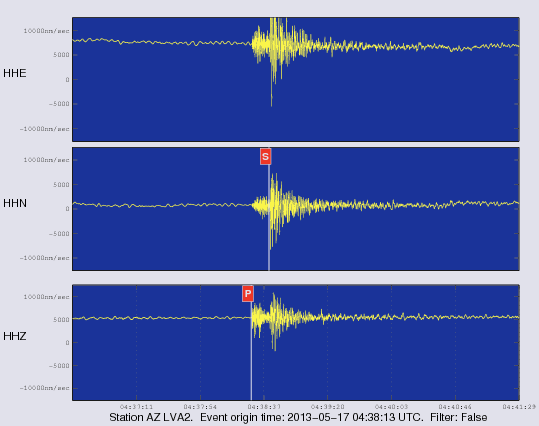 On Thursday May 16 2013 at 9:38 PM (PDT) we recorded an earthquake (preliminary ml 3.1) located near Niland. 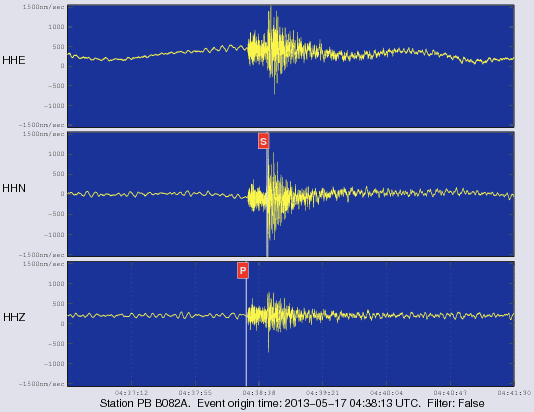 We operate a broadband station at the Santa Margarita Ecological Reserve. 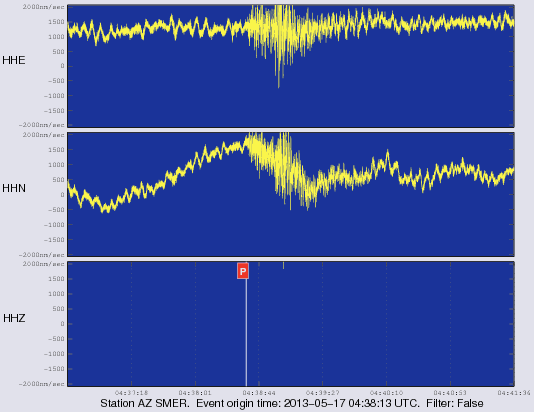 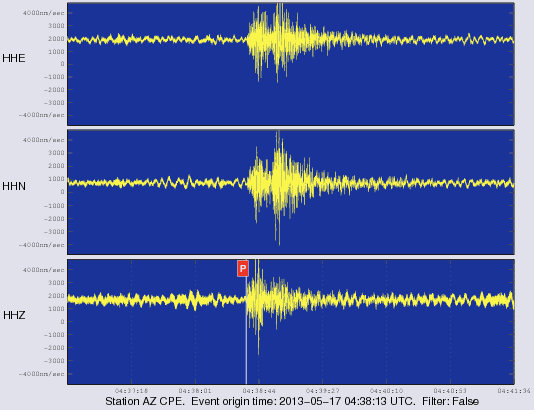 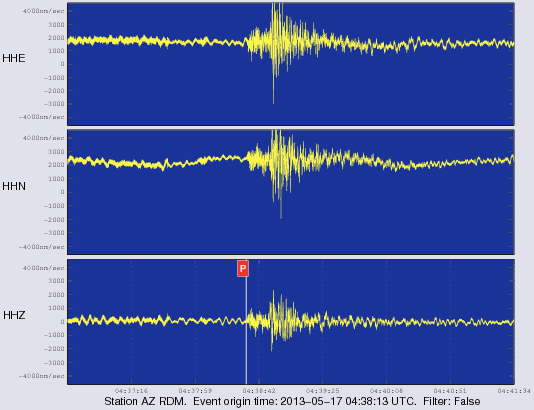 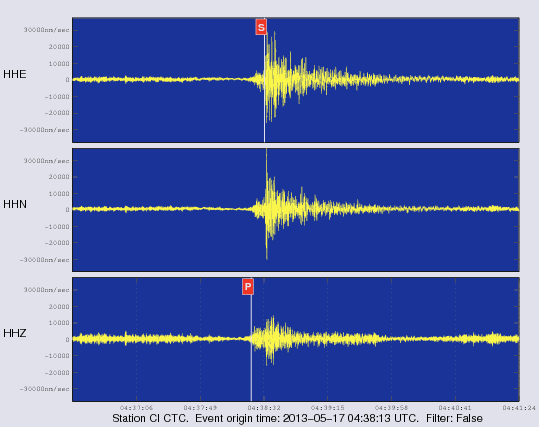 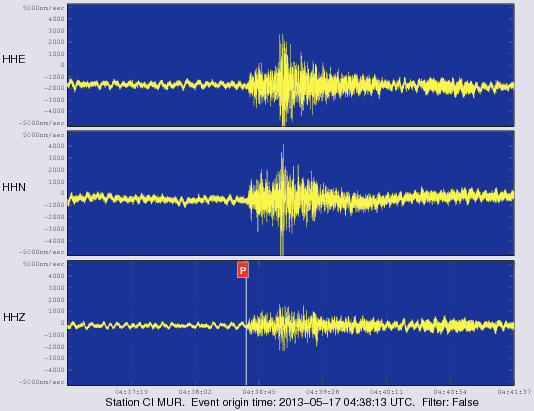 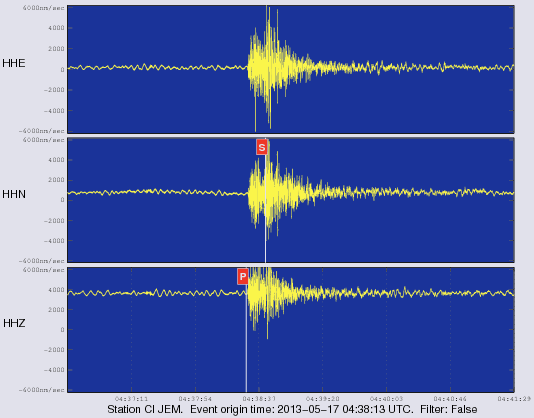 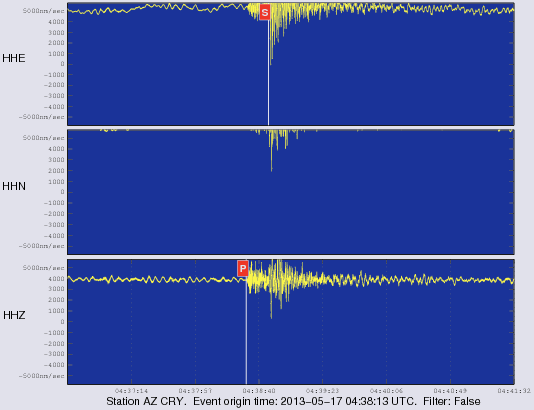 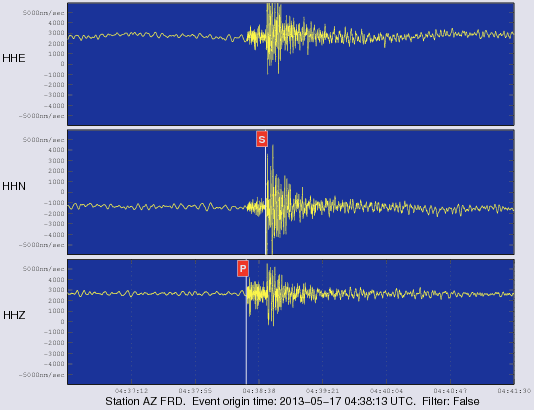 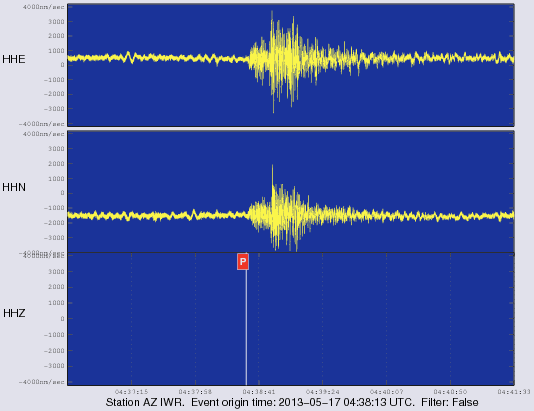 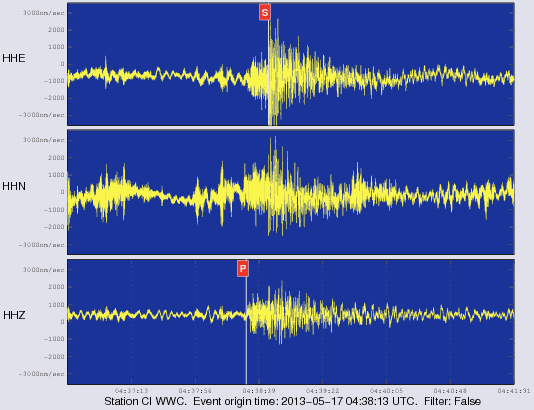 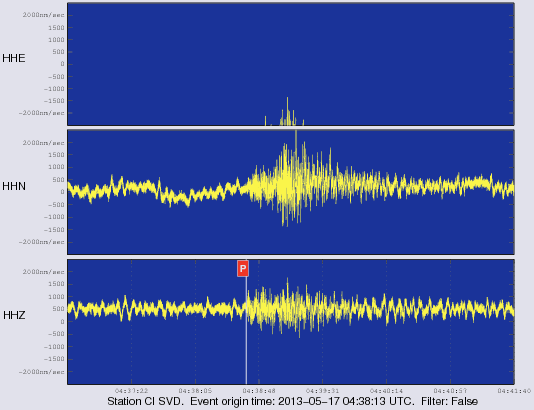 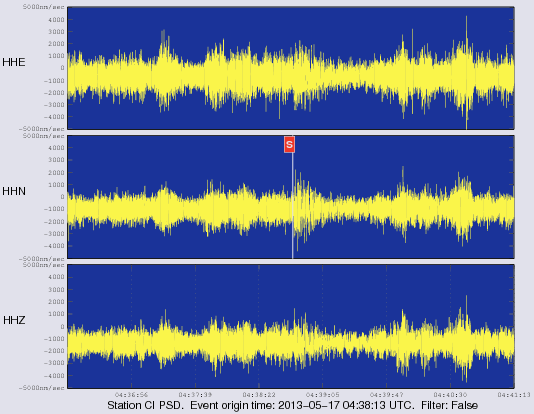 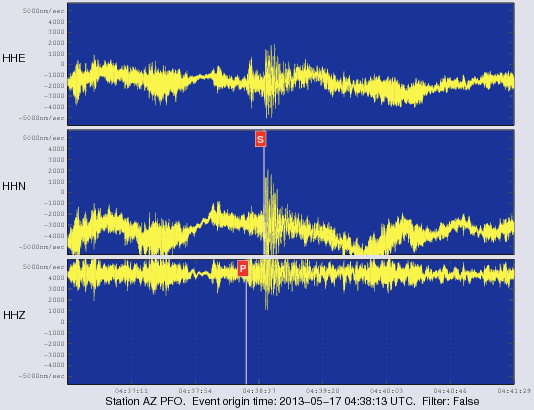 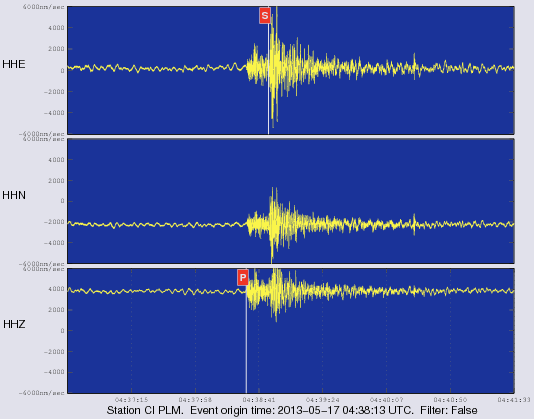 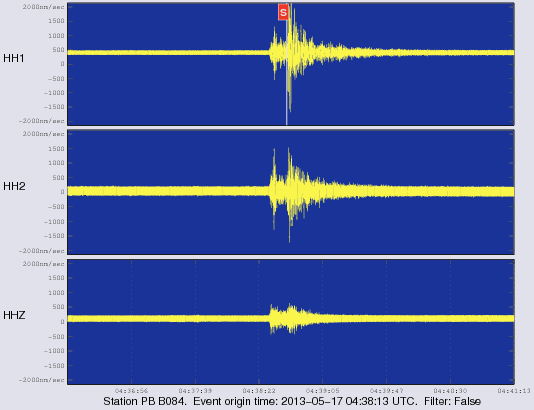 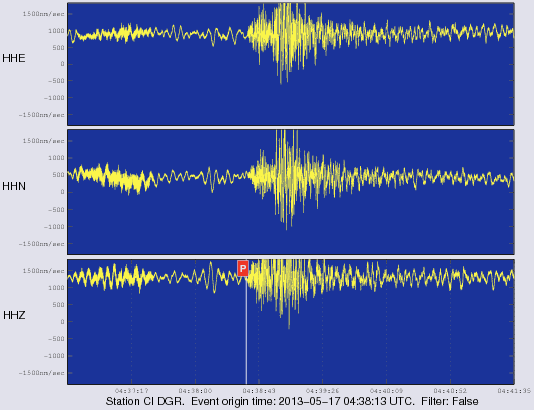 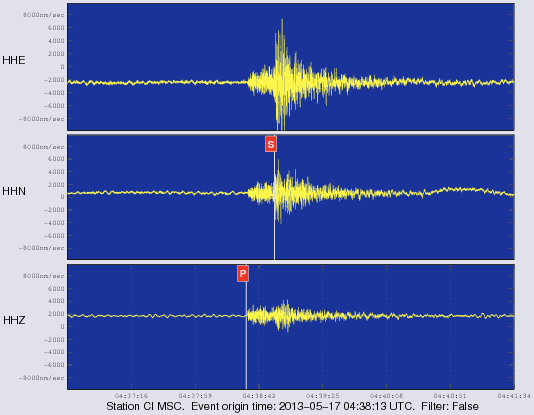 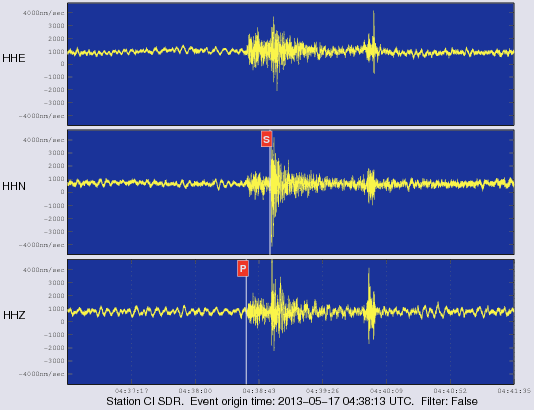 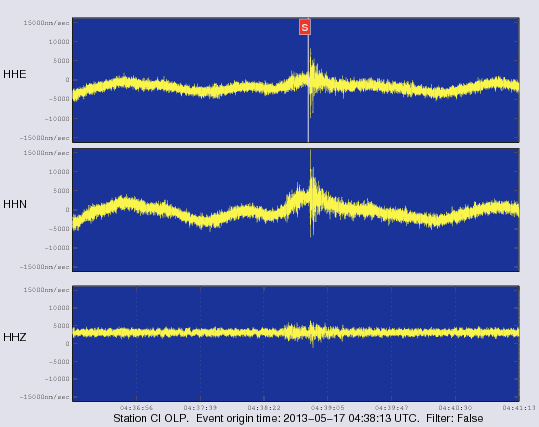 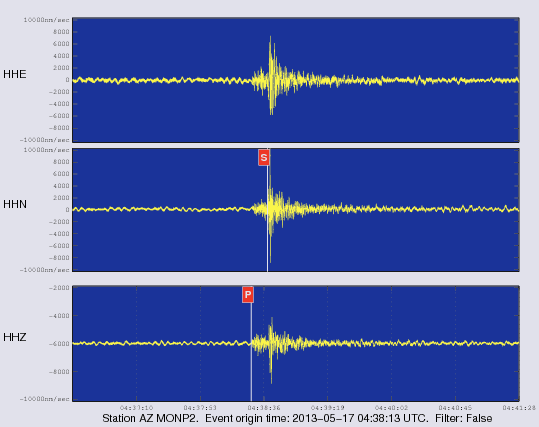 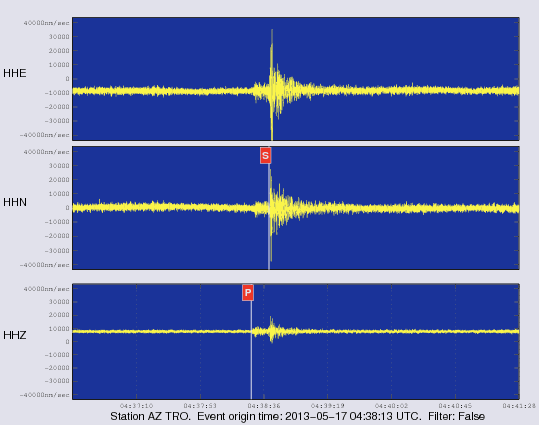 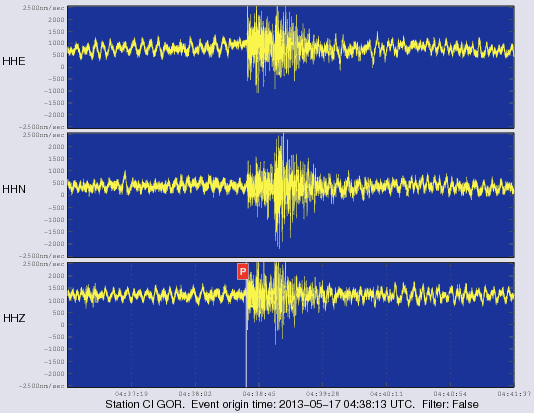 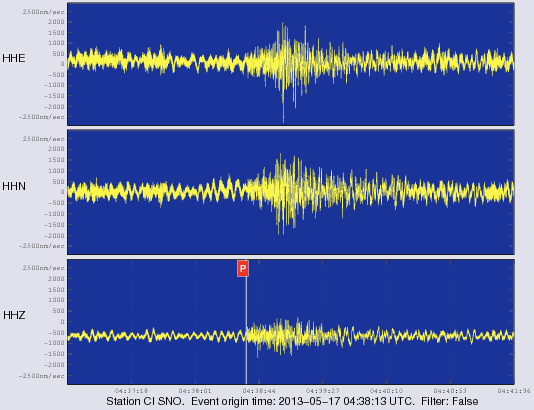 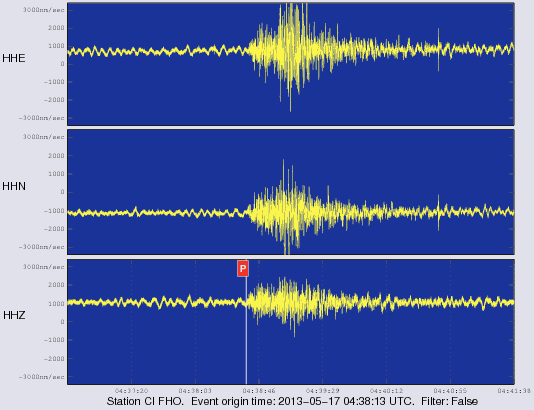 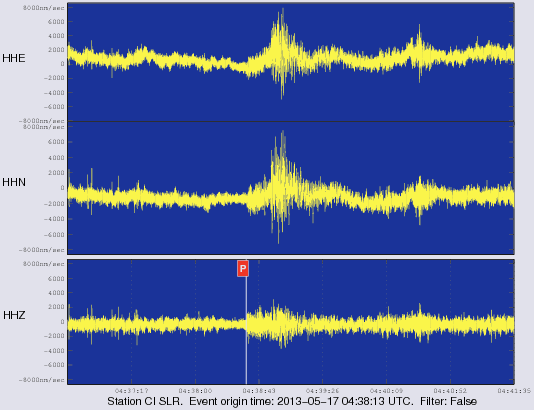 At 21:38 (PDT) station SMER recorded the P wave from this event. Here is a view of that event as picked by our analyst. 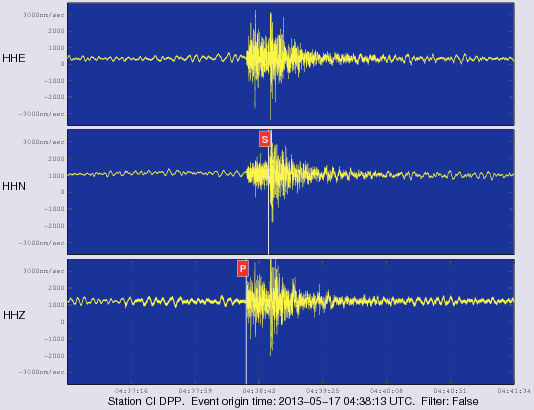 A red P indicates a P wave arrival, a red S indicates an S wave arrival. 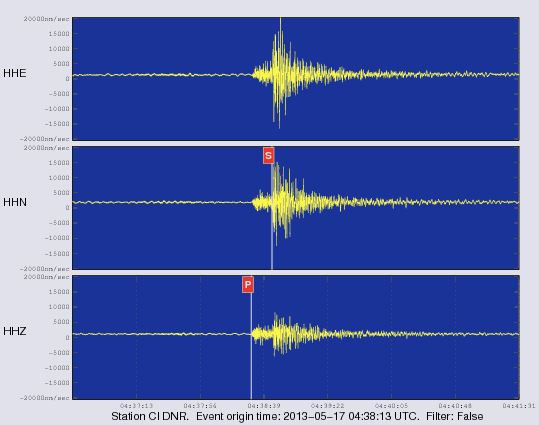 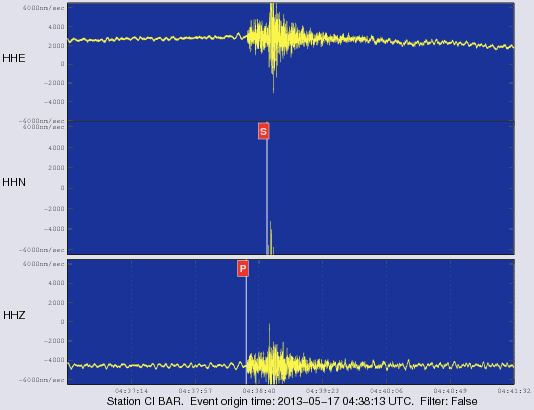 Los Angeles Times: "Earthquake: 3.0 quake strikes near Niland, California"